Covenant Home Curriculum - Providers of a complete, eclectic, classical approach, Pre-school through 12th grade curriculum for home educators with a reformed Christian world view., The World's Best Reformed, Comprehensive, Classical, Homeschool Curriculum, and School Administration Provider! Discount for ordering online! Just enter code ONLINE at checkout and save $15.00 on your order of $300.00 or more. CHC Customers: Earn Cash for Recommending CHC to New Curriculum Purchasers! Recommend CHC to a new customer who purchases a full curriculum, send us your e-mail address and the name of the customer who purchased within 7 days of their purchase, and we'll send you a cash (or credit if you wish) payment (via PayPal) of $50.00 ($15.00 for pre-school, 10% of retail purchase price for module and supplement purchases of $50.00 or more). Start calling your homeschool friends and relatives now!!! The Christian homeschool programs offered by Covenant Home Curriculum provide families with sound textual material on the classical approach to education. Full-service programs are offered for children from Pre-Kindergarten through the Twelfth grade. Parents are now able to reclaim their biblically-based right and responsibility to educate their children in a Christian environment. Find out more about how our Christian homeschool curriculum can help you educate your children! Now there is help in teaching your child to read by using Covenant Home Curriculum. Our Day-by-Day Kindergarten lesson plans offer you a well-organized strategy by which you can teach kindergarten aged children to read. Our kindergarten lesson plans include reading, phonics, poetry, penmanship, math and Bible. 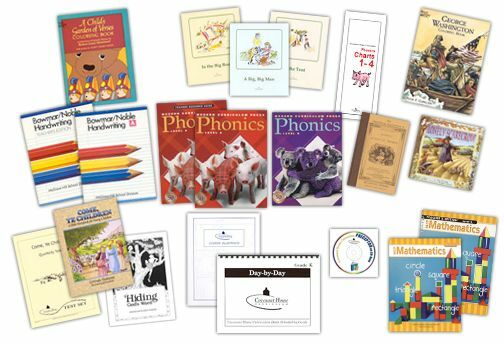 Covenant Home Curriculum also offers proven phonics lesson plans to help teach your child to read. Our step-by-step process makes a daunting task enjoyable and manageable. The phonics lesson plans provide you with a phonics schedule to help you accomplish your reading lessons.